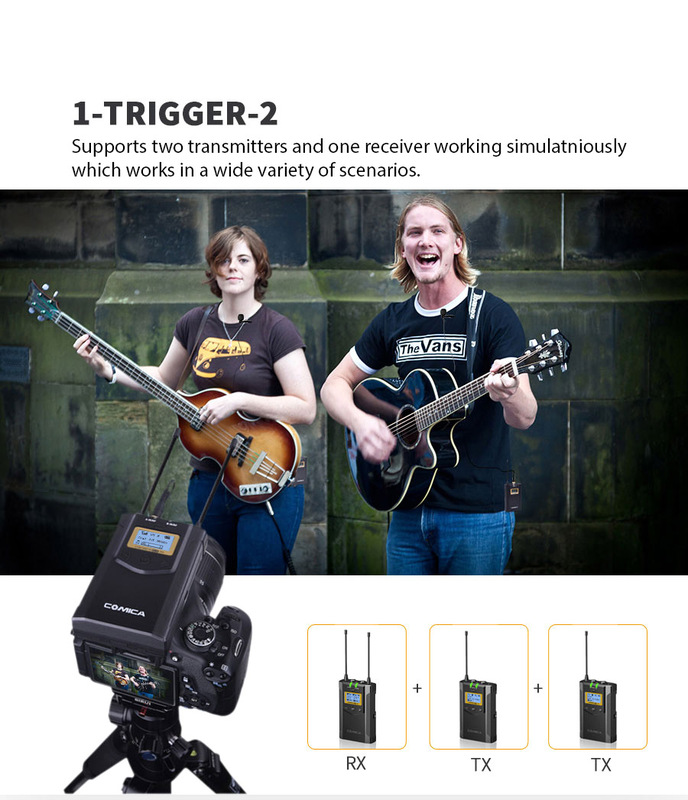 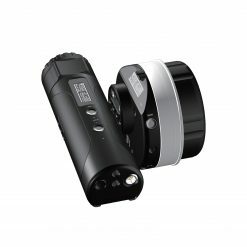 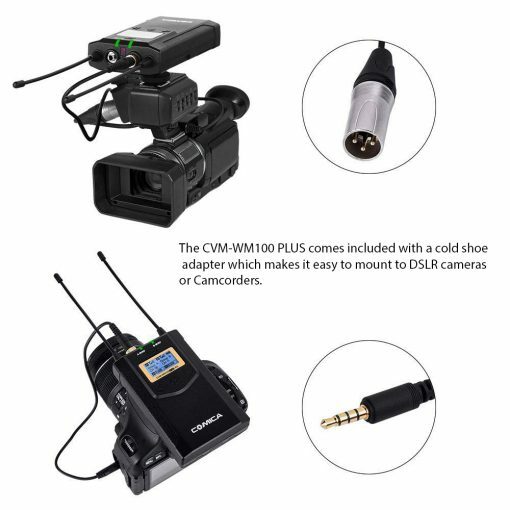 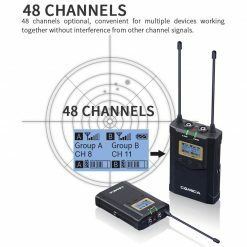 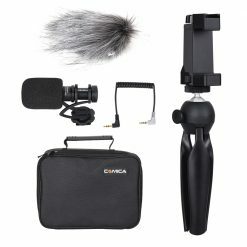 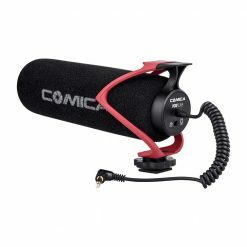 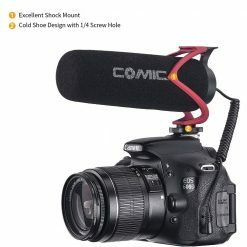 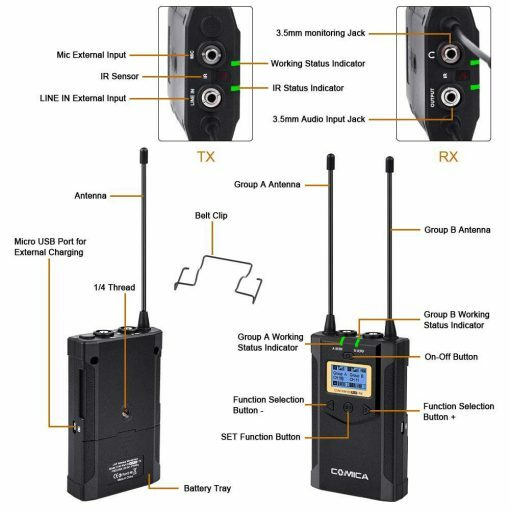 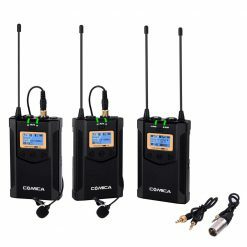 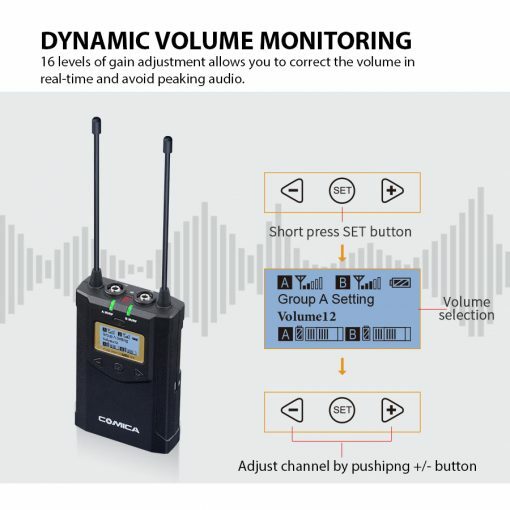 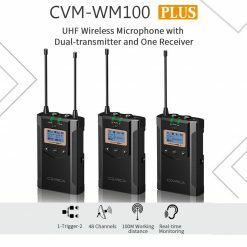 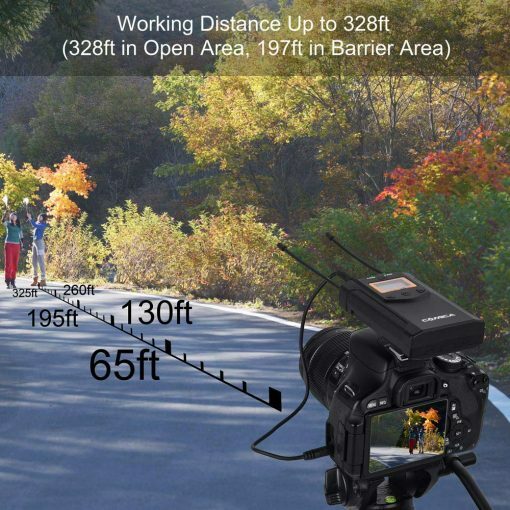 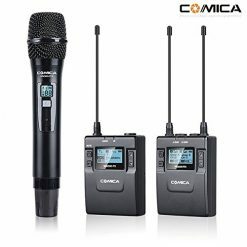 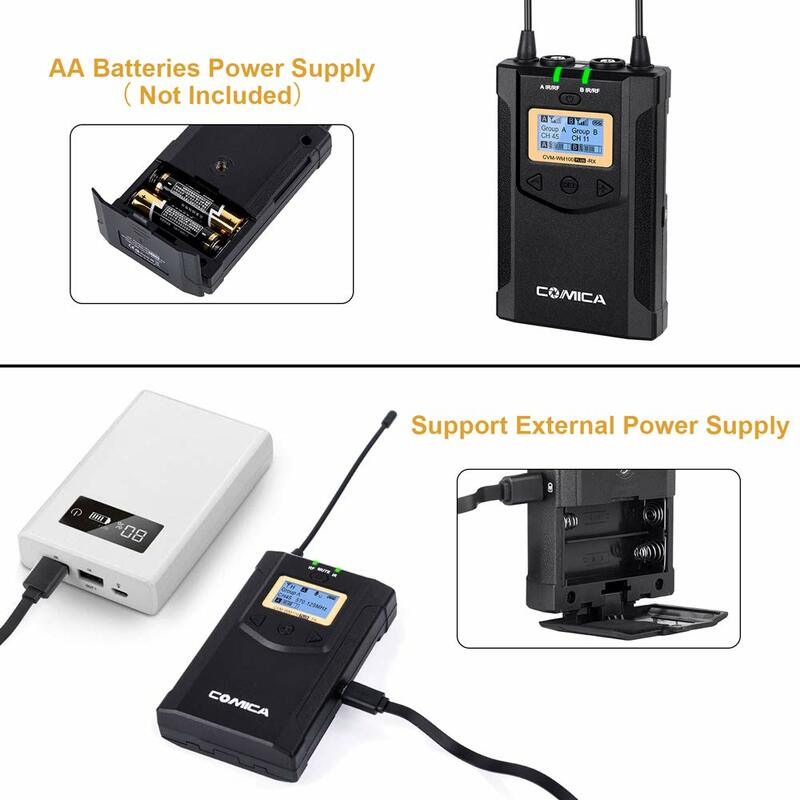 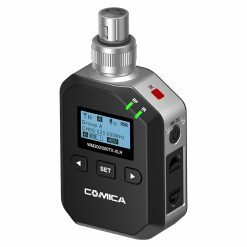 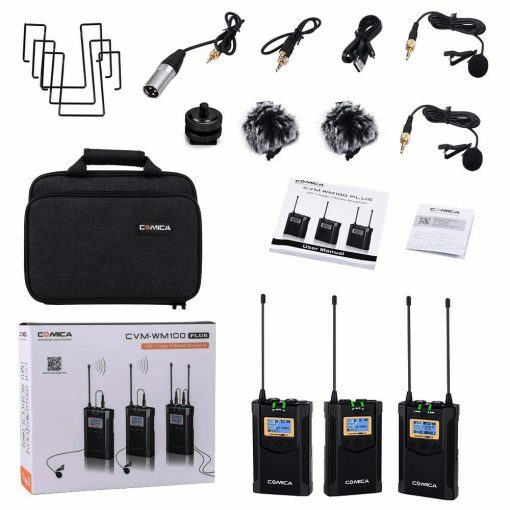 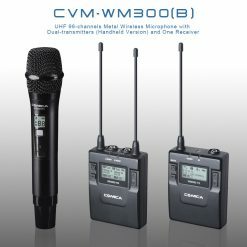 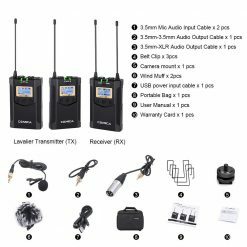 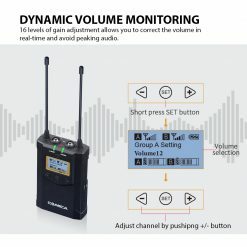 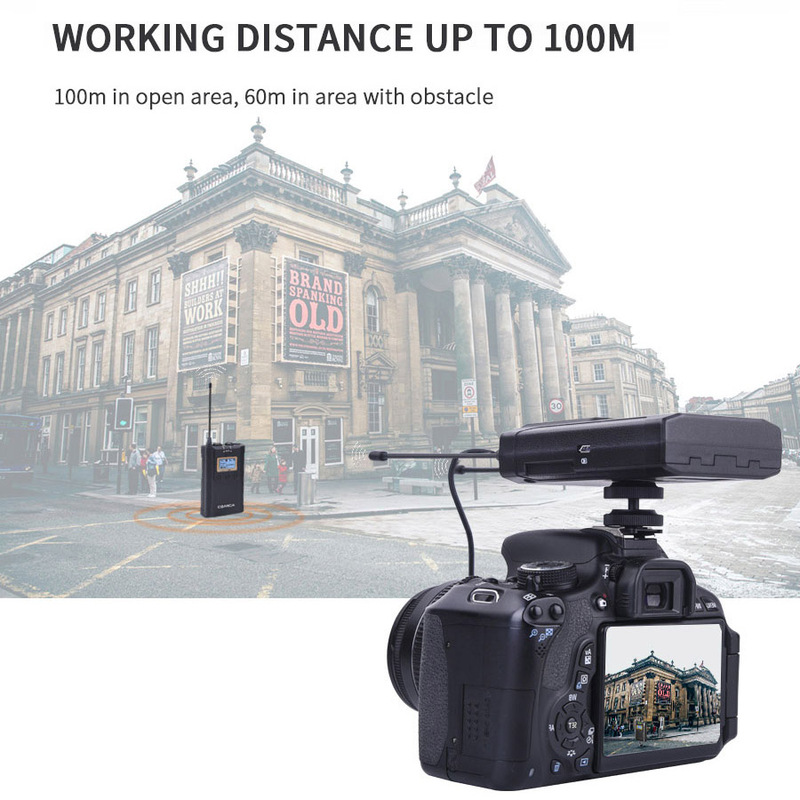 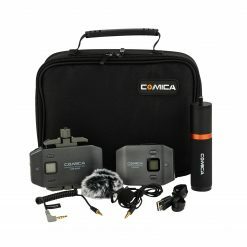 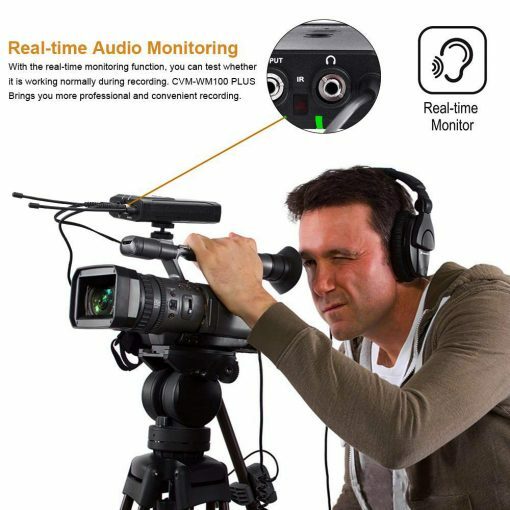 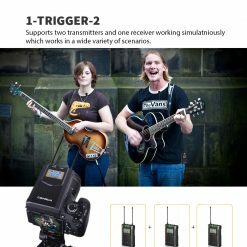 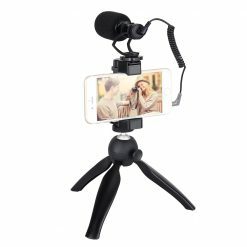 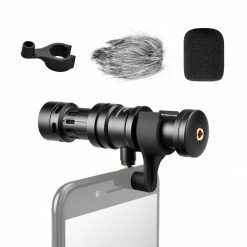 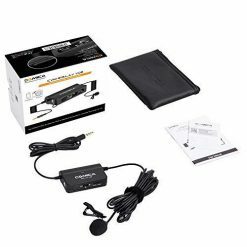 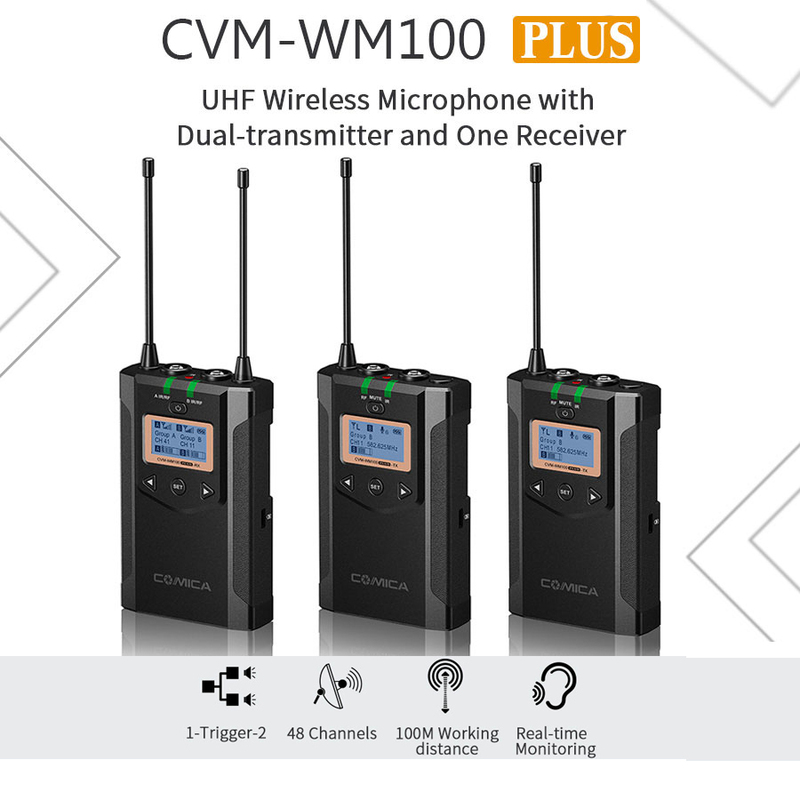 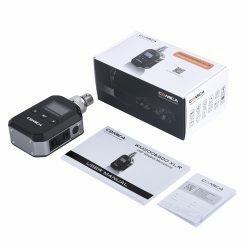 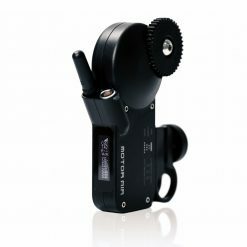 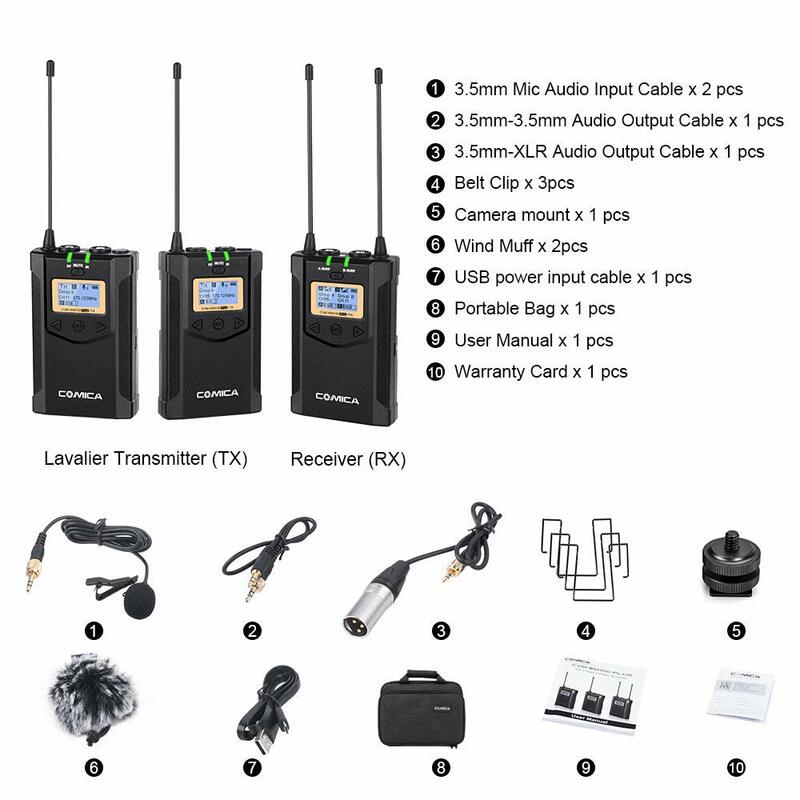 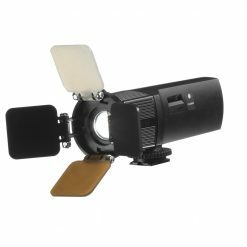 The CVM-WM100-PLUS is a wireless microphone system with a dual-transmitter which is triggered by one receiver. 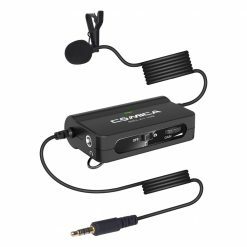 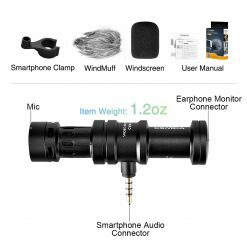 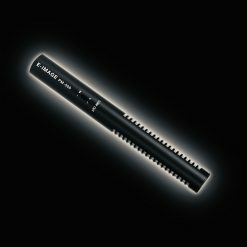 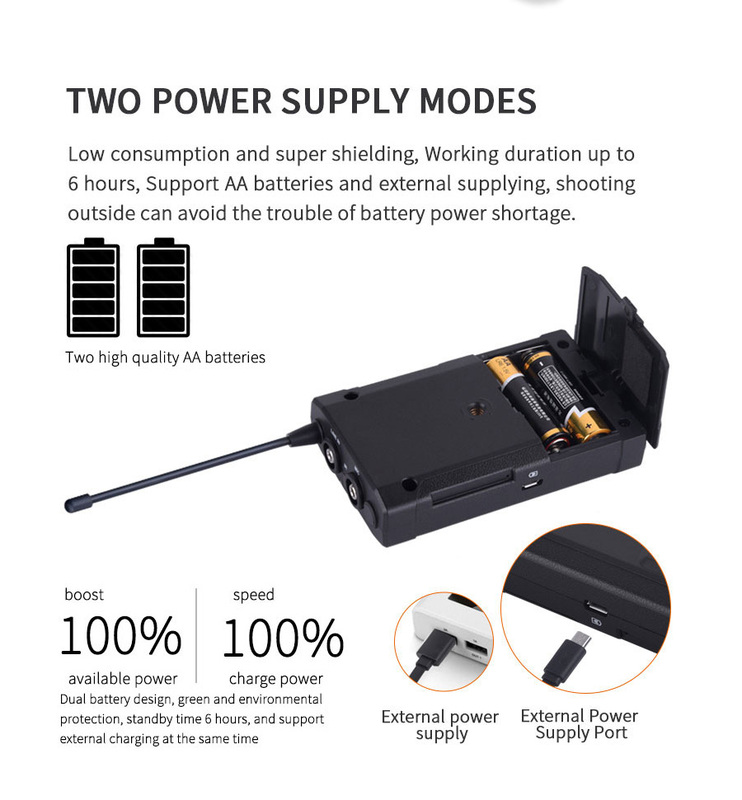 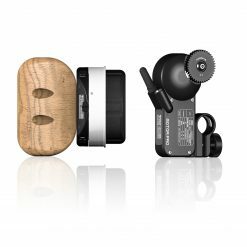 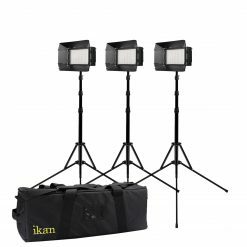 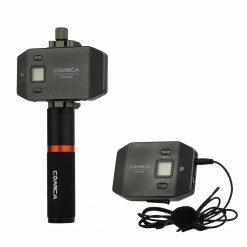 It is powered by two AA batteries and supports the use of an external battery via a Micro USB port on the receiver. 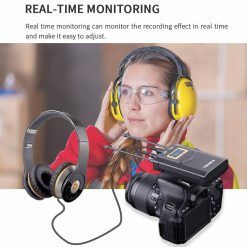 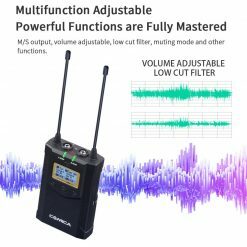 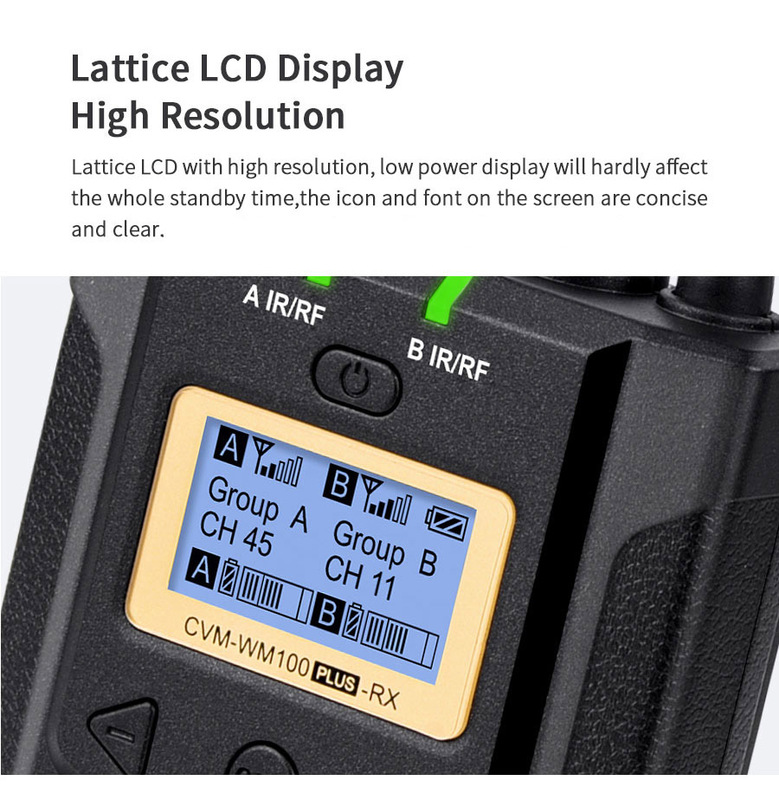 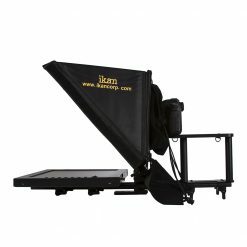 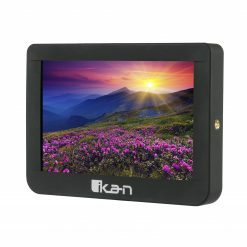 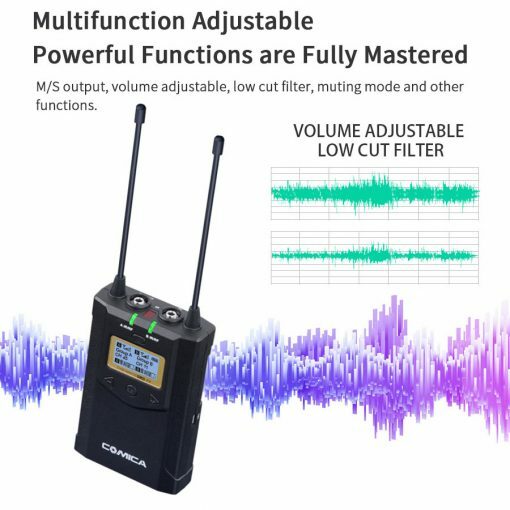 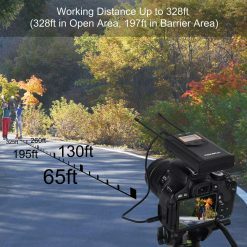 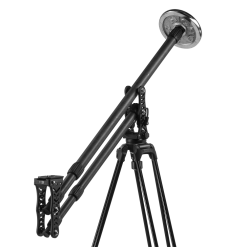 It utilizes UHF wireless FM technology, includes a high-resolution lattice LCD screen, has 16 levels of gain adjustment, includes an integrated low cut filter, Auto IR channel match, Stereo/Mono switchable audio modes, RF Signal strength adjustment, MIC/LINE Input dual selection, Power monitoring at the receiver end, Sound pickup dynamic display, Backlight Adjustment and other functions.